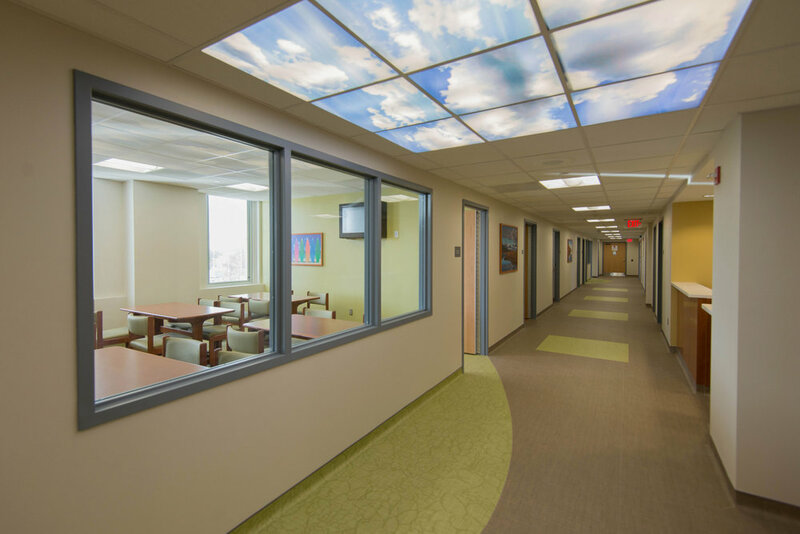 This project consisted of the relocation of 37 psychiatric inpatient beds to the fourth floor at East Orange General Hospital: 19 involuntary beds and 18 voluntary beds. 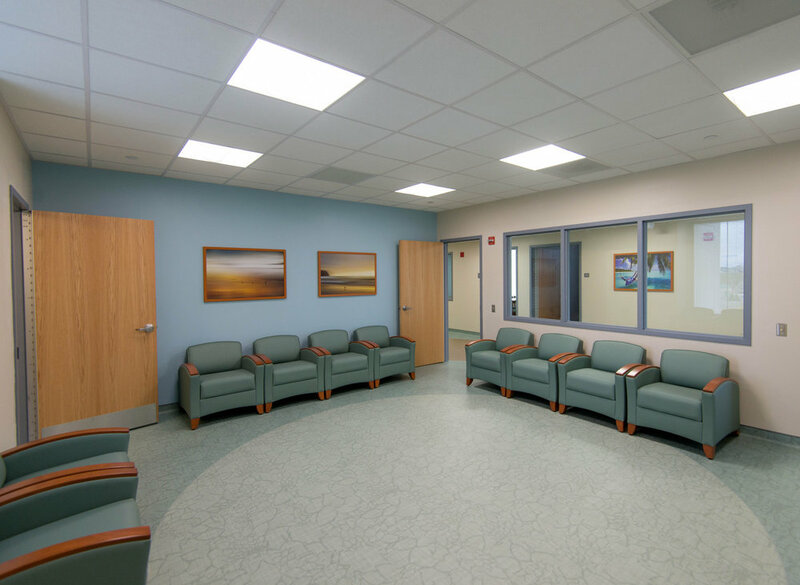 The goal of the design of this facility was to create an environment that is therapeutic and pleasant. 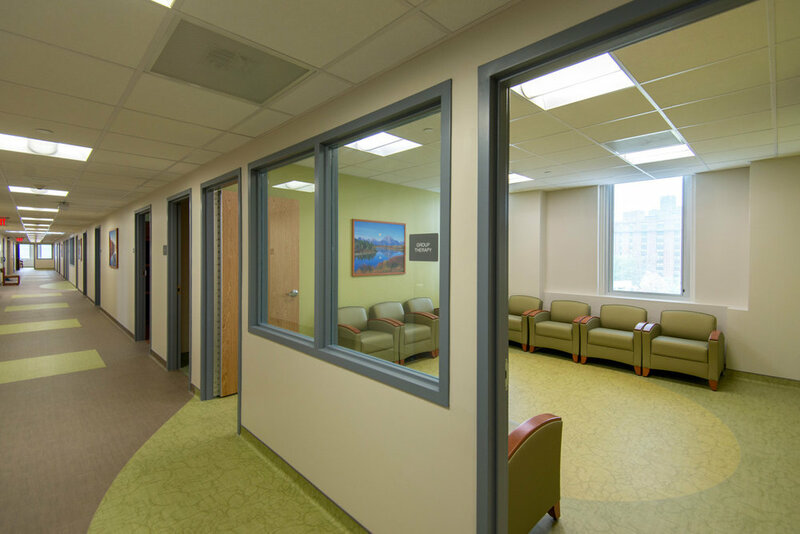 This was accomplished by maintaining sensitivity to the specialized needs of the patient. 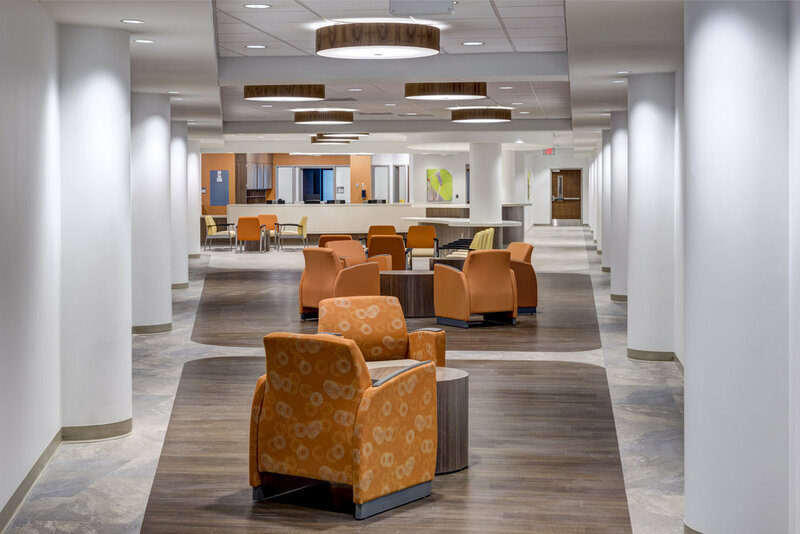 The use of soothing finishes and details reinforces the homelike environment while maximizing the safety of all features. 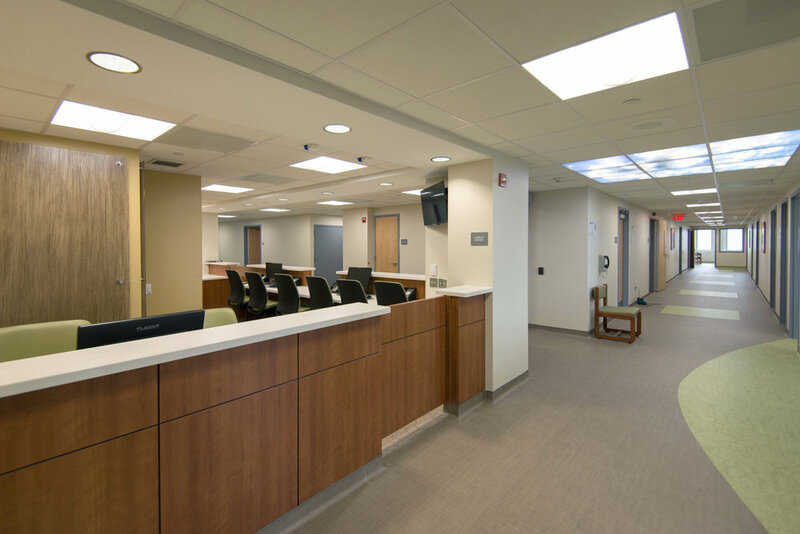 The design also maintains the privacy and integrity of the patients while maximizing operational efficiencies and staff satisfaction..